Perissa. 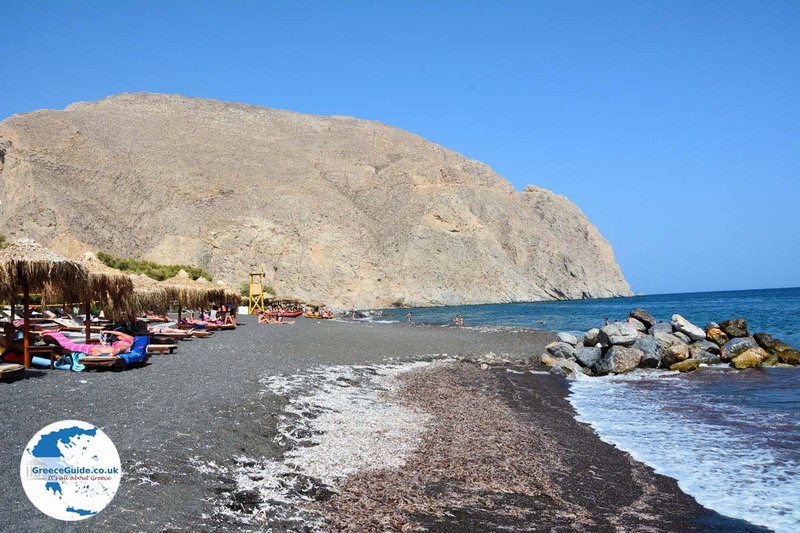 Perissa is located southeast of Fira on the Greek island of Santorini and is accessible through the village of Megalochori. 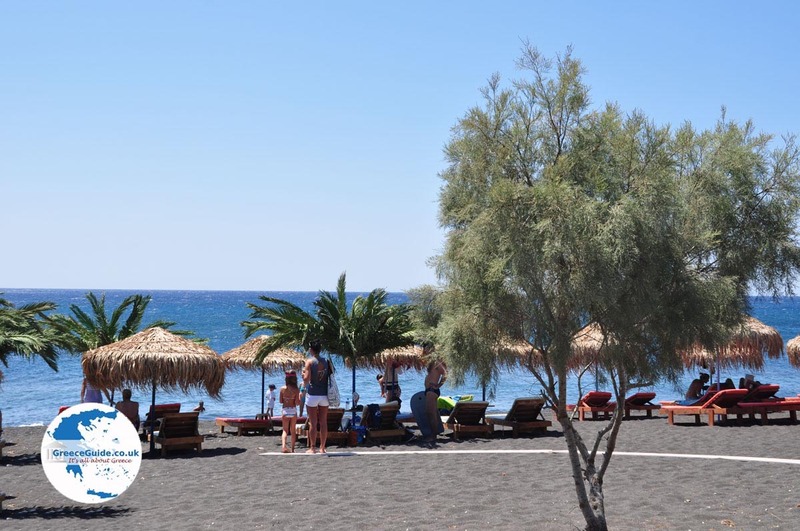 Perissa is a very popular resort (especially among young tourists) south of the mountain Mesavouno. 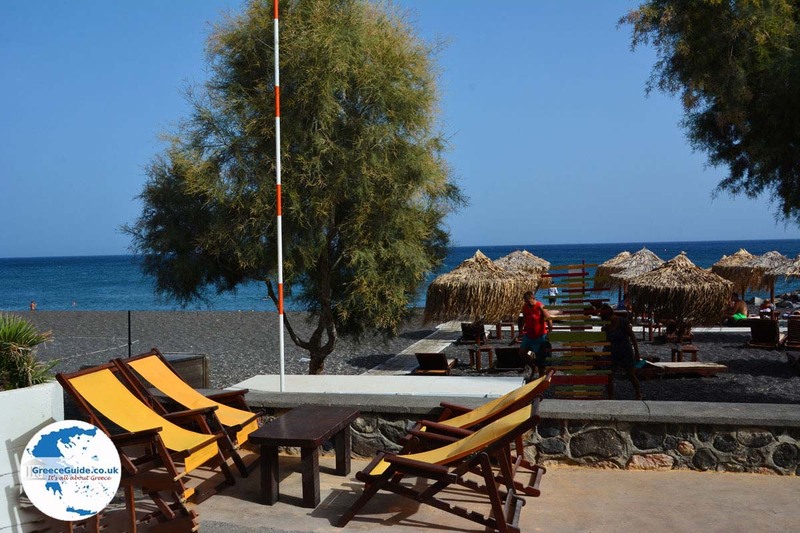 In Perissa the summer season begins in April and ends in October. 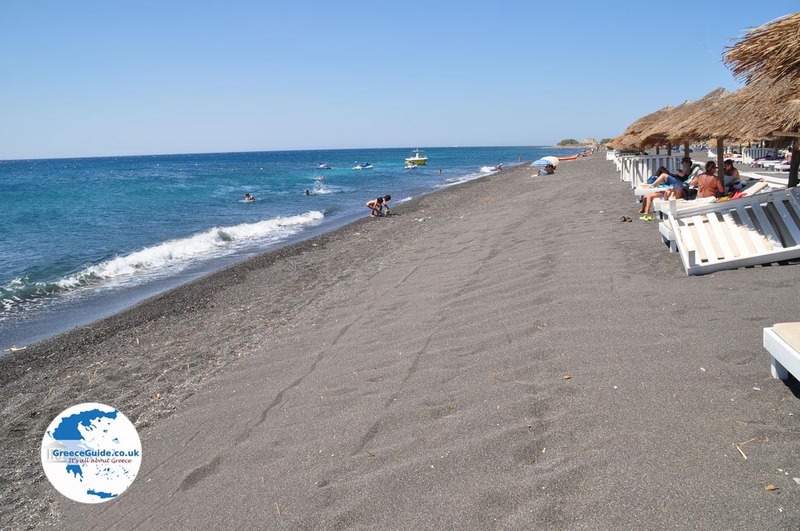 Perissa has a long, black, sand and pebble beach about seven kilometers (4 mi) long. 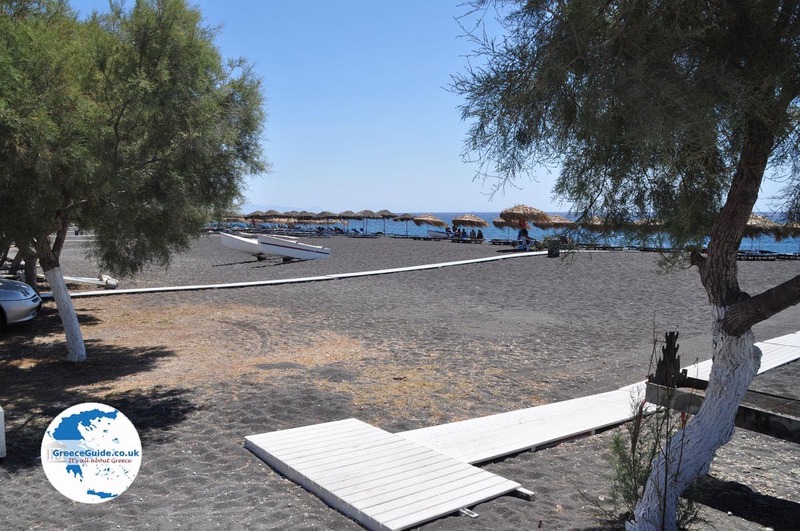 This is the same beach that extends to Perivolos, Aghios Georgios and even further down to the cape of Exomitis. 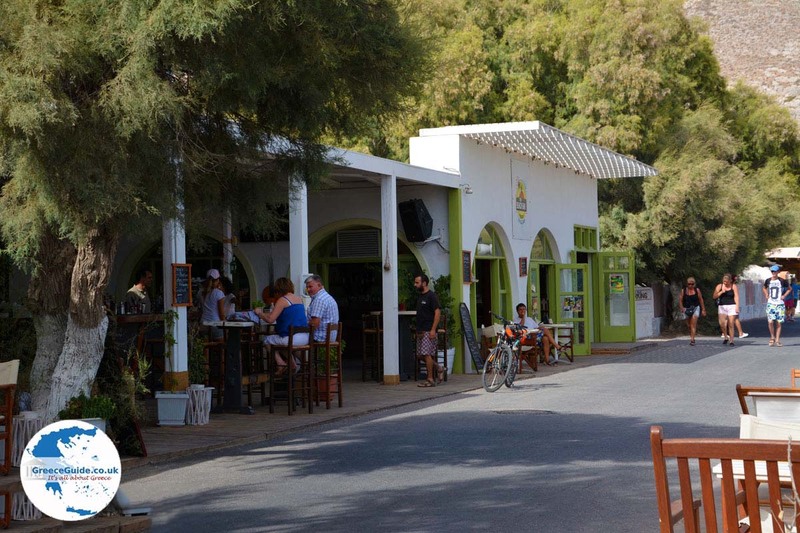 Perissa has many beach bars, nice restaurants and taverns. Almost all water sports are possible here, and there is a campsite, diving club, golf course, skating rink and horse club. 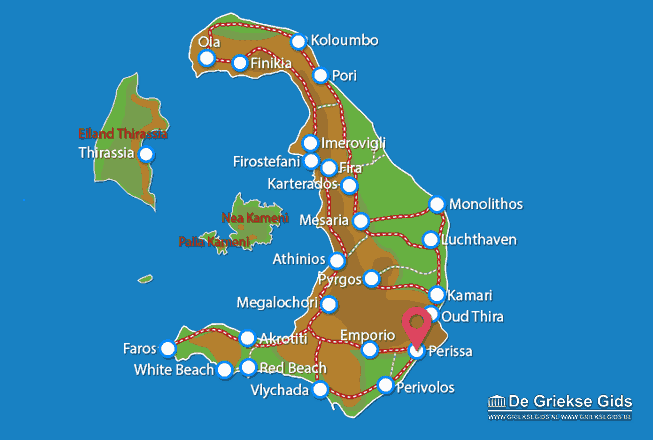 There are several large hotels in Perissa, and also cheaper rooms and apartments. From here it is possible to go up to the mountain and walk. 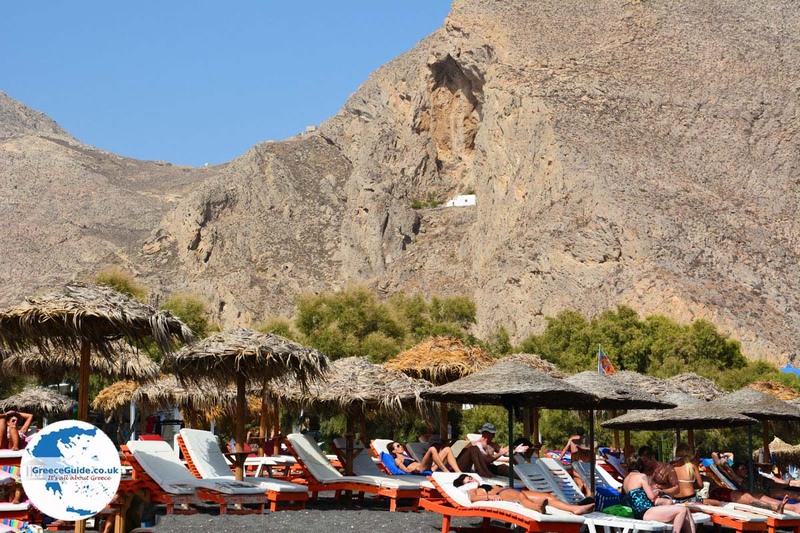 From the church of Agia Irini there is a hiking trail to the Ancient Thira. 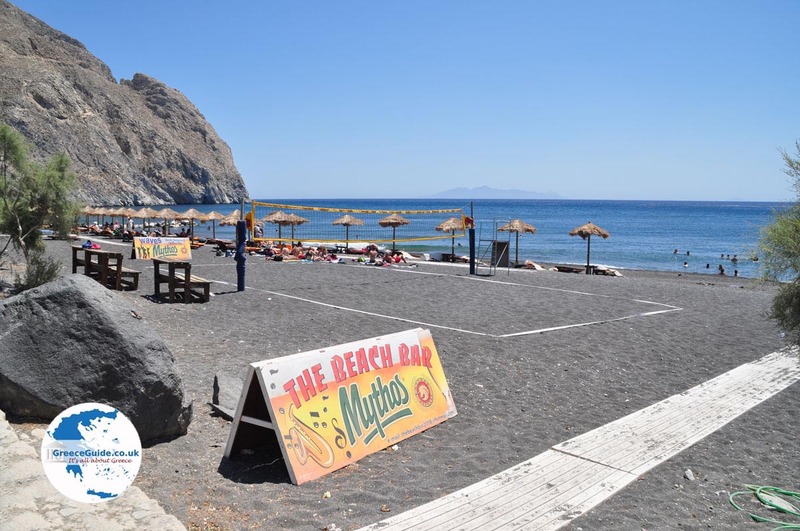 Perissa is home to one of the largest churches of Santorini, the kind with beautiful blue domes. 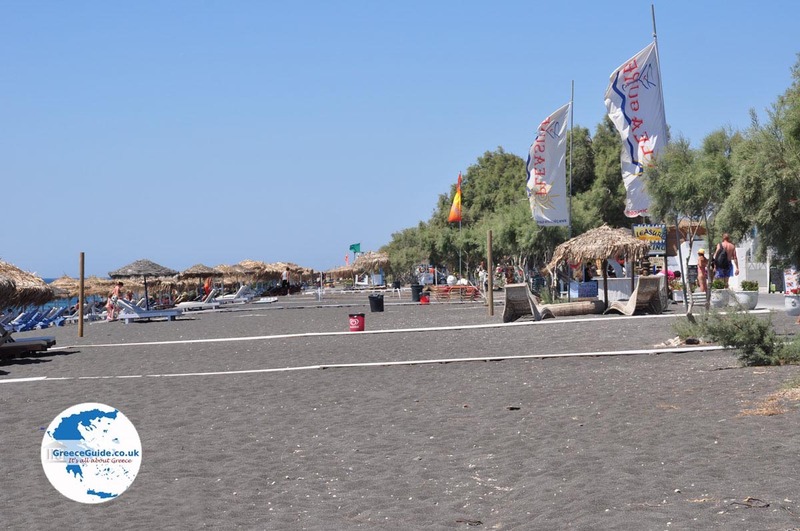 Santorini: Where on the map is Perissa located?